If you are worried about vehicle theft, you are not alone. Whether for work or personal use a car is one of the most important and expensive assets you will own, and is vital in day to day life. The loss of a vehicle is not only inconvenient, it can be expensive, affecting insurance premiums and causing additional costs while you try to rectify the issue. Overall, having your car stolen is another obstacle in life you can clearly do without out. 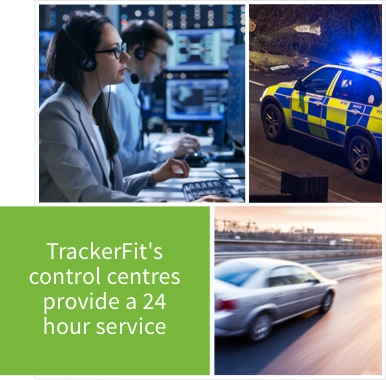 Those looking for a little peace of mind are increasingly turning to GPS vehicle trackers in Hampshire for reassurance that should the worst happen, you, your family and your business can continue to function as normal. Crime statistics from Hampshire police for vehicle crime are showing a staggering increase of 43.1% since 2014. 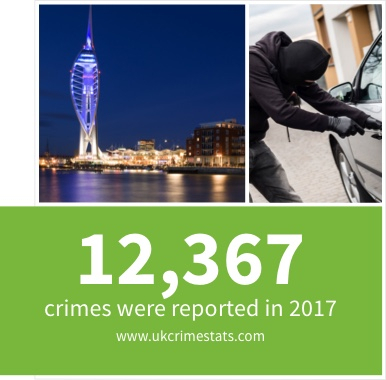 In the whole of 2017, a whopping 12,367 crimes were reported, up from just 7,035 in 2014. It is reaching the point where 1,000 vehicle crimes are being reported every single month. Being a victim of crime is stressful and degrading, but by investing in GPS vehicle trackers in Hampshire you can take back control of the situation. Whilst initially it could seem like the cost of a vehicle tracker is just another outlay, in the long run, it could actually save you money and protect the huge investment you put into a car. Most insurers these days will reward a careful and responsible driver with lower premiums. Particular with a Thatcham tracker. Purchase a GPS tracker from us and we will send an expert to discreetly install it for you. 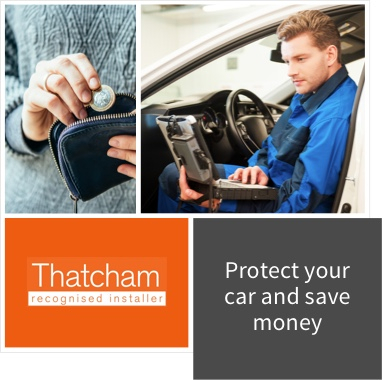 All our technicians are Thatcham approved. They also know that the likelihood of a large payout is lower as the chances of reuniting the car with its owner are far greater. You can also opt for a device that monitors traffic information, or even consumption information relating to average speed or idle times. This can help you dramatically reduce fuel costs and spend less time on the road. Investing in a GPS vehicle tracker in Hampshire will allow you to see exactly where your vehicle is at any given moment. It truly offers complete peace of mind. Should you find yourself in a dispute over the cars location, perhaps an unwarranted parking ticket, or to prove you were on time for work even, the car tracker will help you resolve it quickly. Perhaps a loved one is out in the car and has broken down. Well, all GPS vehicle trackers in Hampshire have a built-in SOS feature, so you can rest assured they can be located and arrive home safely soon. Not only this, if you can locate your car, so can the authorities. The police will be able to track down the vehicle and return it to you quickly before there is a chance for much damage to occur. Some of the more advanced trackers can even block the engine from operating should anyone try to move the vehicle outside of an area you have defined. If you want more advice on how to choose a GPS car tracker, then book your installation call us now on 0800 756 5100 for vehicle trackers in Hampshire.